Si necesitas una sita, llama a la oficina y preguntar por Gracie o Brenda. "The doctors and staff are very caring and attentive to your needs. I feel very blessed.."
"Amazing doctor. Efficient, punctual, friendly, kind, humble, and phenomenal care." "Excellent practice. Excellent practitioners. Everyone is friendly and very competent..."
"Dr. Vogt is awesome. Patient-centric. He is caring and listens! Extremely knowledgeable." "I don't really like going to doctors at all but I really trust Robert. He's a great guy." "Dr. Vogt and staff are amazing. I highly recommend Dr. Vogt and the family practice!" "The staff at The Family Practice is kind, courteous and really try to help." "This was one of the best doctor's visits I have had in a long time!" Our office has monthly classes for patients with diabetes. This allows patients to join a community and gain a new support group. Contact the front desk to be scheduled for the next class with openings. Quest Diagnostics has a lab draw location at the front of our office. It is open Monday through Thursday from 8 am to 3 pm, and open Friday from 8 am to noon. It is ultimately the patient’s responsibility to know their coverage and benefits. Any uncovered or out of network charges will be patient responsibility. Our office has a psychologist on site. Please click this link to learn more about him. After years of practicing medicine and gaining extensive experience, Dr. Robert Vogt, MD, created a state-of-the-art Christian medical practice to provide patients of all ages the quality treatment they deserve. The Family Practice, in Colorado Springs, Colorado, is founded on the mission statement that Dr. Vogt and his staff partner with you to optimize your health by offering full-spectrum care that considers the physical, emotional, and spiritual dimensions affecting your well-being. Dr. Vogt and his staff pride themselves in being nationally recognized as a level two patient-centered medical home (PCMH). The PCMH status means that The Family Practice delivers the core functions and attributes of an optimal primary health care office. These functions and attributes include offering the highest quality and safety comprehensive care, being patient-centered, providing coordinated care, and having accessible services. By providing personal care and partnering with you in your healthcare, The Family Practice stays up-to-date with the most cutting-edge technology. 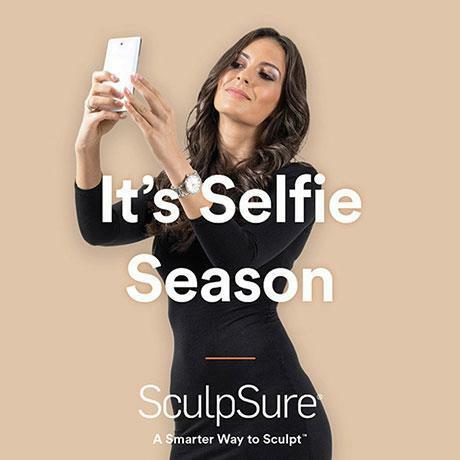 This includes the world’s first FDA-cleared laser treatment called SculpSure. Dr. Vogt and his staff at The Family Practice look forward to the opportunity to serve your needs with the goal of optimizing your physical and mental well-being. Our Mission: We partner with patients to optimize their health by offering full spectrum care that considers the physical, emotional, and spiritual dimensions affecting their well being. Please note this is not a comprehensive list and there may be sub plans of these insurance plans that we are not in network with. Regardless if your insurance plan shows up on our list, please call your specific plan to verify we are in network with your plan. Any balances that come from us not being contracted or in network with your plan are patient responsibility. "This doctor's office is a family. I have never been to such an amazing, personal, caring, no waiting, always on time. They take their time, you are not rushed out." "This family practice facility is absolutely amazing. I have seen three different providers there and each one took plenty of time to understand my condition/illness..."
"Dr. Vogt is great with kids, very considerate, a great listener, and I have never felt rushed with him. Both he and his team are very kind, considerate, and thoughtful." "Family Practice has the unusual ability to focus on the patient, to discuss, analyze, and take action where needed on patient concerns. Thank you, Dr. Vogt." "We love The Family Practice! Not only are they highly skilled at what they do - they CARE! And, everyone is genuinely pleasant and kind. Dr. Vogt is AMAZING!" "I'm brought to tears with the ease and care that this facility works with their patients. Thank you for treating us like family..You have restored my faith in humanity." "Everyone at The Family Practice is so warm and welcoming. They are clearly experts in their field and provide top-notch care." "I've been a patient of Dr. Vogt for almost 10 years. He's a kind man with a true calling for being a doctor. He's literally saved my life."